Jacque Stevens wrote her first book as stress relief activity during nursing school that was never meant to be shown to anyone. It had elves and it was beautiful. Then her mother showed it to a published author in a critique group. They killed it with their red pens and send those poor elves back to the forest crying. But out of the ashes appeared a djinni and even more elves. 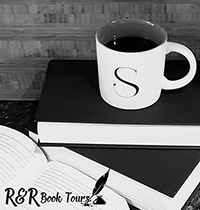 As a fulltime nurse working mostly in mental health, she continued writing similar book in the shadows until the people at Future House decided enough was enough. It was time for one of those books to be published. Jacque lives in Utah, so yes, she has a huge extended family and occasionally eats green jello, but does not yet own a minivan. When Livy is young, she starts interacting with fairies, which helps her deal with her parents. Later on, after her parents have divorced, her mother decides to pull Livy out of school to homeschool her. Sadly, her mother spends more time drunk than taking care of Livy. But Livy has her fairy friends for company. That is until Child Protective Services are called in and Livy is taken to her father’s home. Her step-mother Renee worries about Livy and is afraid that she is on drugs like her mother and tries to shape her into an adult. Livy doesn’t want to have any of this and escapes to Fairy Land which makes others think she has mental problems. Is she really imaging all of this or is there some reality to this? This was an interesting story. I felt bad for Livy, she has grown up in such a rough/horrible way. Her only escape is her fairy friends that keep playing with her when she is taken to her father’s new family. Although they care for Livy, she is having a hard time adjusting and keeps escaping to the Fairy Land. But is she really escaping or is she having serious mental problems? It was hard reading about Livy at times, I felt so bad for her and hoped things would turn out for the best. I liked how everything came together at the end. This is a great story and one worth reading. 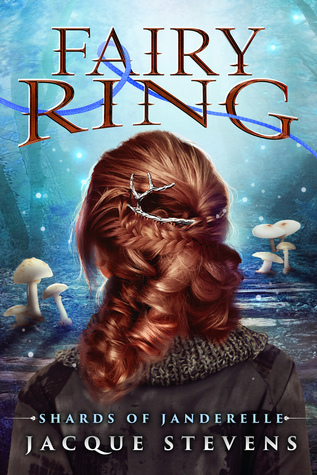 I received Fairy Ring: Shards of Janderelle from eBooks for Review for free. This has in no way influenced my opinion of this book.